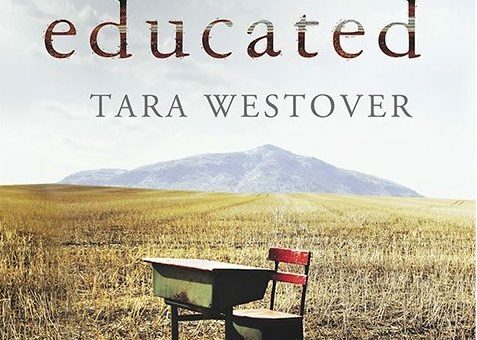 I finished reading Educated yesterday, Tara Westover’s memoir of her survivalist Mormon upbringing and subsequent separation from it. By her account, the separation was achieved by means of formal education. Only once in the book does she reflect on the matter of writing. I wish there had been more. Is it really about education? Education is her answer to the problem, which is certainly difficult to define, but involves the assertion of one right way to be in world. At some point, most of us come to the conclusion that there isn’t any right way. Flusser called this real absence groundlessness. Families invariably propose a “ground,” a right way to be, although this has, in my experience, usually been broadly harmonious with formal education. Very few families demand complete submission — including the acceptance of perfect contradictions, betrayal, neglect, etc., on pain of utter exclusion, as Westover’s did, but more to the point, very few stand in such rigid opposition to formal education. With a hypertrophied drive to find an alternative ground, she got an exaggerated education. But the memoir seems to narrates something like a battle for a soul. I respect it for being steadfastly honest, rich in description, for reporting what it was like to have to make decisions on perfectly contradictory evidence and in emotional conflict. I admire her above all for eventually recognizing her own groundlessness, and with it, the need to construct a functioning, contemporary self – from scratch.